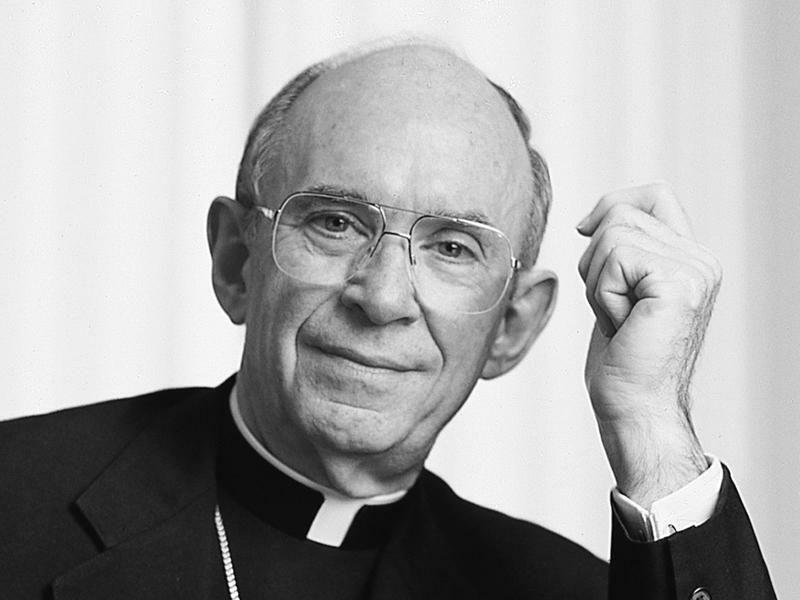 As a priest, archbishop, and president of the US bishops' conference, Cardinal Joseph Bernardin, a native of Columbia, S.C., lived a ministry marked by thoughtfulness, compassion, and conviction. In his book, Joseph Bernardin: Seeking Common Ground (2016, Liturgical Press), Steven P.
"F" is for Fire-Baptized Holiness Church. Several different groups have used this name. The initial group was formed in Iowa and taught that a Christian could experience salvation, then sanctification, and then a "third blessing," a baptism of the Holy Ghost with fire. Missionaries came to South Carolina in the 1890s. In 1898 delegates from across the country met in Anderson to organize the Fire-Baptized Holiness Association. Under the leadership of the Rev. William E. Fuller, a number of black congregations split off and formed the Colored Fire-Baptized Holiness Church in 1908. "D" is for "Dr. Buzzard"
"D" is for "Dr. Buzzard." The title "Dr. Buzzard" has been claimed by numerous root workers [practitioners of West African-derived folk medicine and magic, commonly referred to as voodoo, hoodoo, or conjuring] along the South Carolina and Georgia coasts. The best-known, if not original Dr. Buzzard, was Stephany Robinson from St. Helena Island who began practicing root work in the early 1900s. Until his death in 1947, he had a local as well as national clientele. According to legend, Robinson’s father was a "witch doctor" who had been brought directly—and illegally--to St.
"L" is for Lutheran Theologoical Southern Seminary [LTSS]. One of eight seminaries of the Evangelical Lutheran Church in America, LTSS was established by German Lutherans in 1830. In Columbia since 1911, LTSS previously occupied several sites in South Carolina and Virginia. "C" is for Clemson Blue Cheese. In 1940, a Clemson College dairy professor wondered if he could cure blue mold cheese in the dark, damp interior of Stumphouse Mountain Tunnel near Walhalla in Oconee County. He hoped that the product would be similar to French Roquefort cheese. His goal also was to use surplus milk from local cows, including Clemson’s own herd. "B" is for Brawley, Edward McKnight (1851-1923). Missionary, educator. Born in Charleston, a free person of color, Brawley was educated in Philadelphia and studied theology at Howard University. 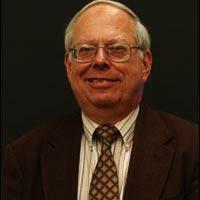 He graduated from Bucknell College and was ordained a Baptist minister. 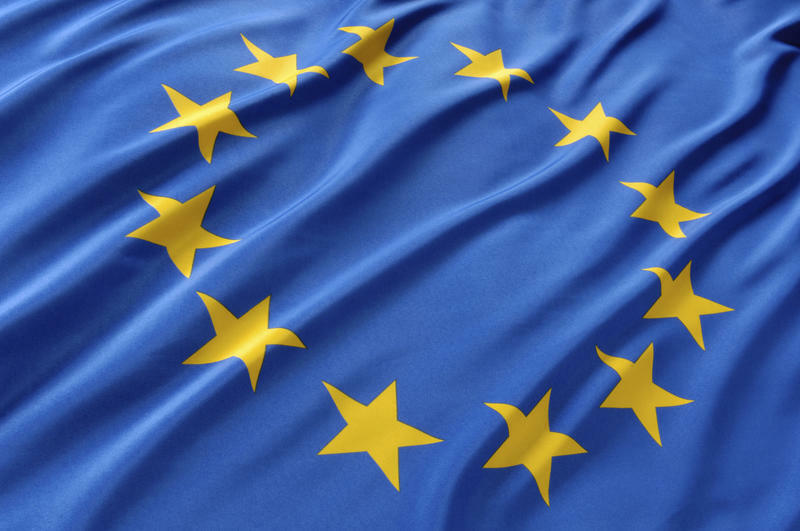 In their book, Religion and the Struggle for European Union: Confessional Culture and the Limits of Integration (Georgetown University Press, 2015), Furman University professors Brent F. Nelsen and James L. Guth delve into the powerful role of religion in shaping European attitudes on politics, political integration, and the national and continental identities of its leaders and citizens. “H” is for Holmes Bible College. The roots of what is popularly called the oldest Pentecostal school in the world lie in a Bible study program that Presbyterian pastor Nickels John Holmes conducted at his family cottage on Paris mountain in 1893. In 1898 Holmes and his wife purchased the Altamont Hotel on Paris Mountain and converted it into the Altamont Bible and Missionary Institute. In 1903 the school moved to Columbia where it came under the sway of Pentecostalism. Within two years Holmes and the entire student body testified to receiving the gift of speaking in tongues. The school has remained oriented to Pentecostalism ever since. In 1916 the school returned to Greenville where it has remained to this day. After a series of name changes, the 1998, the school became Holmes Bible College. 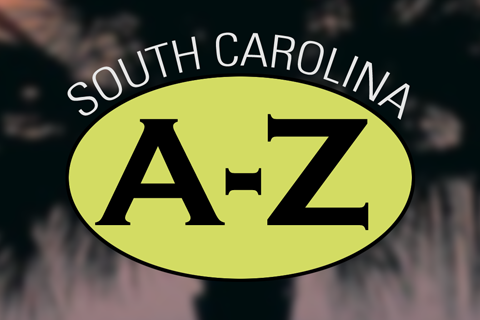 South Carolina from A to Z is a production of South Carolina Public Radio. 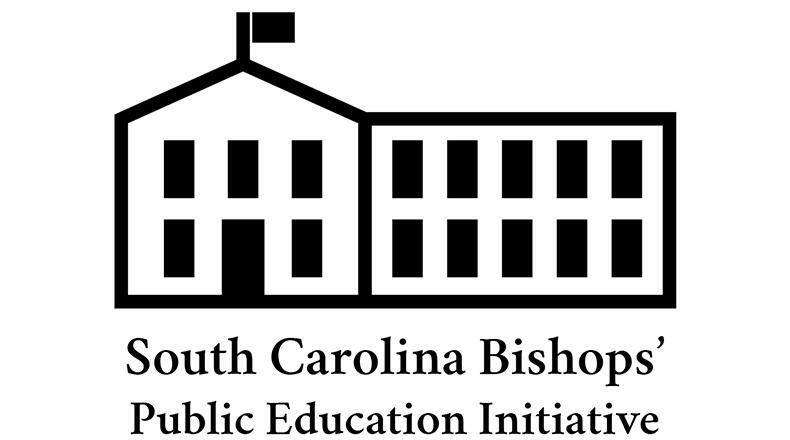 (Originally broadcast 12/15/14) - The story of Catholic Hill in the Colleton County town of Ritter serves as a metaphor for black Catholics in South Carolina. While the Catholic Hill experience is unique in many respects, it is emblematic of the struggle for the faith in the way that the people of Catholic Hill maintained their identity despite decades of hardship and neglect. Professor Allison McCletchie, of Claflin University, is leading a small team that is creating an ethnography of Catholic Hill. She joins Dr. Edgar along with Catholic Hill native Davetta Greene to talk about the community's past and present. The shooting deaths of nine members of Charleston’s Emanuel A.M.E. Church in June shocked the nation. 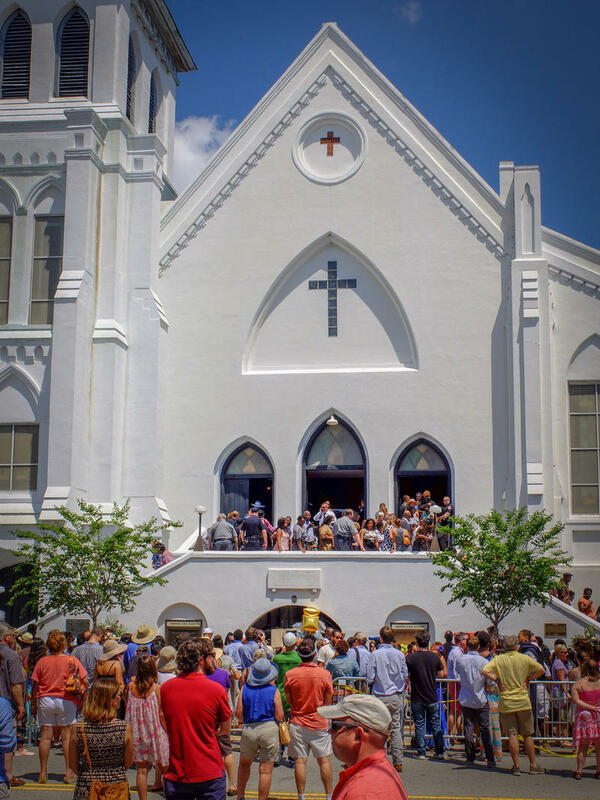 However, the history of “Mother Emanuel,” and, indeed, the black church in South Carolina, is one of repression and resistance, spiritual succor and political action, as well as education and aspiration. 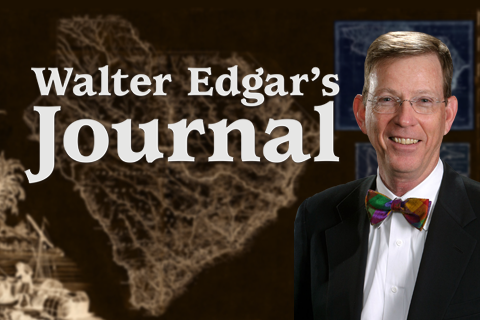 Dr. Bobby Donaldson of the University of South Carolina and Dr. Jon N. Hale of the College of Charleston talk with Walter Edgar about this history. In the old-time American music tradition of "shapenote" singing, Sacred Harp is both the name of a songbook and a name for a singer's heart. 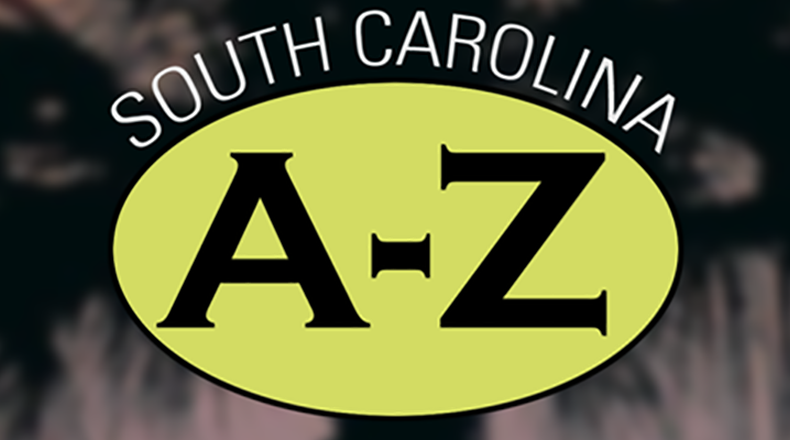 Piccolo Spoleto brings traditional singers from around the South for an old-time all-day singing event from The Sacred Harp on Saturday afternoon from 10:00 am to 3:30 pm in the Gage Hall on Archdale St. in Charleston. In the old-time American music tradition of "shapenote" singing, Sacred Harp is both the name of a songbook and a name for a singer's heart. Piccolo Spoleto brings traditional singers from around the South for an old-time all-day singing event from The Sacred Harp on Saturday afternoon from 10:00 am to 3:30 pm in the Gage Hall on Archdale St. in Charleston. One of the longest lived musical traditions in America, ‘shapenote’ singing features unaccompanied voices, strong rhythms, powerful poetry, and starkly beautiful harmonies. “M is for Methodist Episcopal Church, South. The debate over slavery at the General Conference of the Methodist Episcopal Church in 1844 resulted in the division of the denomination into northern and southern branches. The critical issue was Georgia James O. Andrew’s ownership of slaves inherited from his wife. By Georgia law he could not free the slaves and Bishop Andrew offered to retire. The southern delegates refused his request, and a Plan of Separation was adopted, allowing the southern annual conference to withdraw. “C” is for Charismatics. Charismatics are mainline Christians who speak in tongues and practice such gifts of the Holy Spirit as prophecy and healing. 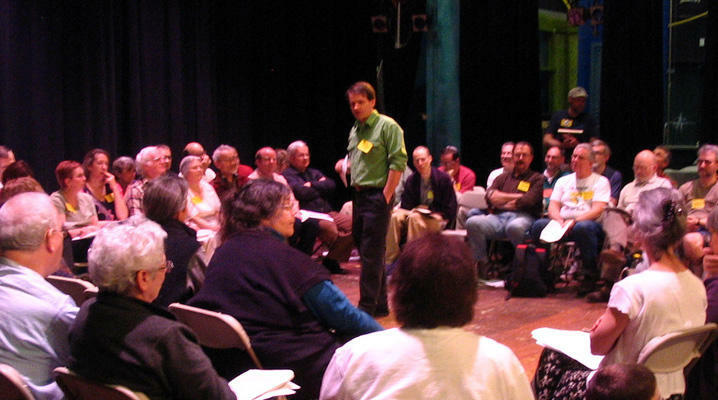 While some Episcopal and Roman Catholics sponsor regular charismatic prayer services, a more visible outgrowth of the movement is large independent congregations described as “full-gospel” or “charismatic.” The movement began in the 1960s in California among Episcopalians and in the mid-west among Catholics. Southern Baptists strongly opposed speaking in tongues. "R" is for the Reformed Episcopal Church. “L” of for Lovers of Meher Baba. Merwan Sheriar Irani, known as Meher Baba, was born in Poona India—of Persian parents. He was influenced by both Muslim and Hindu spiritual leaders. They made him aware of his high spiritual destiny and shared with him t divine knowledge. Having attained spiritual perfection, in 1921, he drew together his first close disciples and began his spiritual mission. These disciples gave him the name Meher Baba [Compassionate Father].